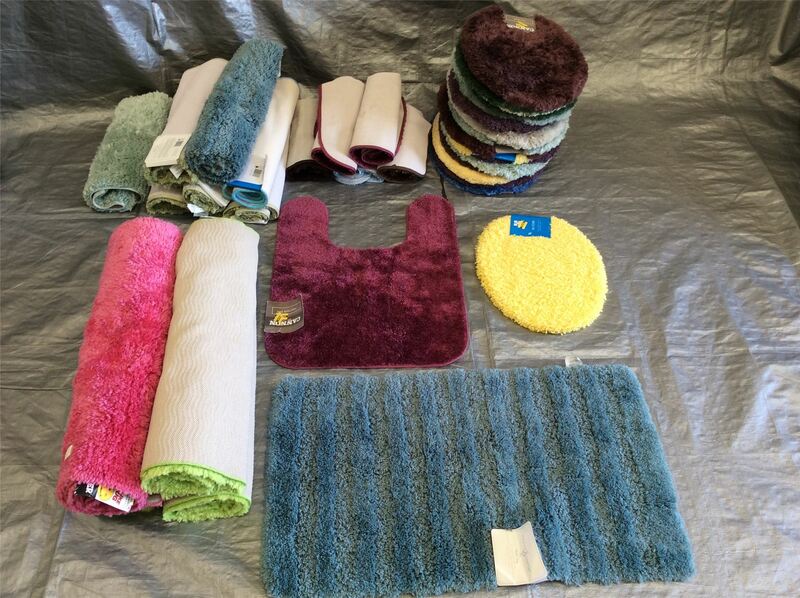 Wholesale lot of assorted bathroom rugs and toilet seat covers from major retail stores. Mixed Designs & Patterns. Approx. 38 Pieces Averaging $1.99 Per Piece. Perfect for all types of resellers. Click the button below to add the Wholesale Lot of Assorted Bathroom Rugs, Toilet Covers Mixed Colors, Approx. 38 Pieces to your wish list.